Getting comfortable with the nuts and bolts of HTML5. 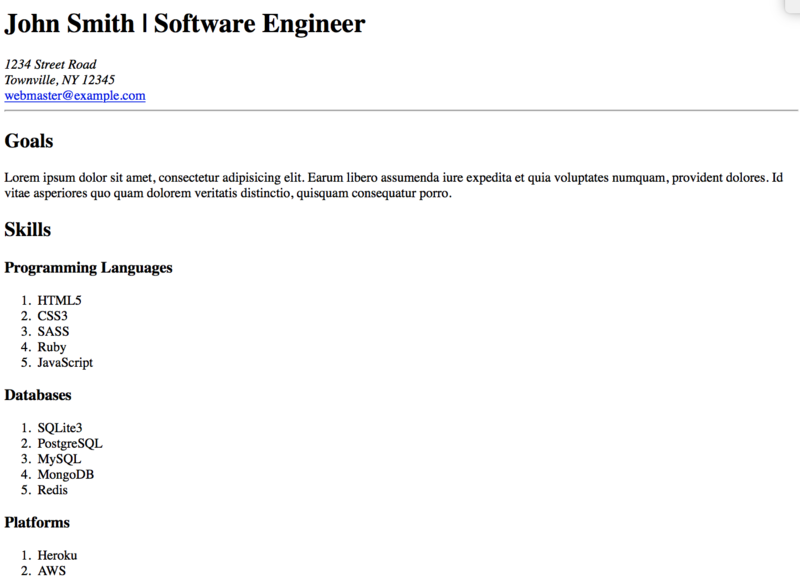 In this assignment you'll build and deploy your resume in HTML5. Compiling your resources into a resume and constructing a web page from it is a great step to get your name and qualifications out there in front of potential employers. Building this now will jump start your portfolio and resume sites later! You might be asking yourself, "But wait I'm still studying! 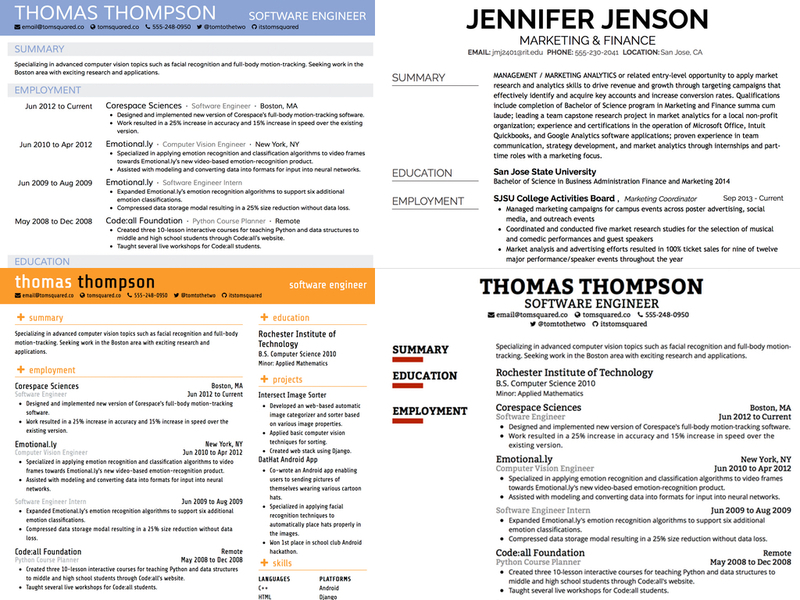 What skills can I put down on a resume now?". Time to build your resume! Here we'll map out the various elements your resume should have and talk about what HTML elements you should use to display them. You should use exactly zero styling. This exercise is all about using raw HTML. You can always make it look pretty later! Remember your markup should be structured semantically using proper tags and indentation levels. Create a header with a big ol' h1 stating your name and target career. Add an hr tag below to give your header a nice big underline for emphasis! Create a list of hobbies and interests that you enjoy. They should be current, but you may include past interests and activities as well. Try to think of what makes you unique. You may choose to create a table here of references. Because you'll be posting this on the internet it is usually a good idea to label this with Available upon request. Put the same information in the footer as you did the header only make it smaller by using tags that print normale sized text. Don't forget to make your email link clickable with a href="mailto:..."
Wrap your footer text with a strong tag to make it stand out! Now it's time to deploy your resume. Choose one of the deployment methods that we covered in the lesson in this section on deploying static content. Once your resume is deployed don't forget to put a link to the deployed page in your README!